Online Doctor Ratings About As Useful As Those For Restaurants : Shots - Health News More than half of people surveyed said ratings of doctors on the Web helped them pick which physician to see. Yet many ratings are based on only a few patient reviews, which can skew the results. If you're looking to go out for dinner, see a movie or plunk down big bucks on a new TV, chances are you'll look online for help with the decision. Lots of people are now checking out potential doctors that way, too. Online ratings are becoming part of how many Americans shop for a physician, according to a study in the latest issue of JAMA, the journal of the American Medical Association. 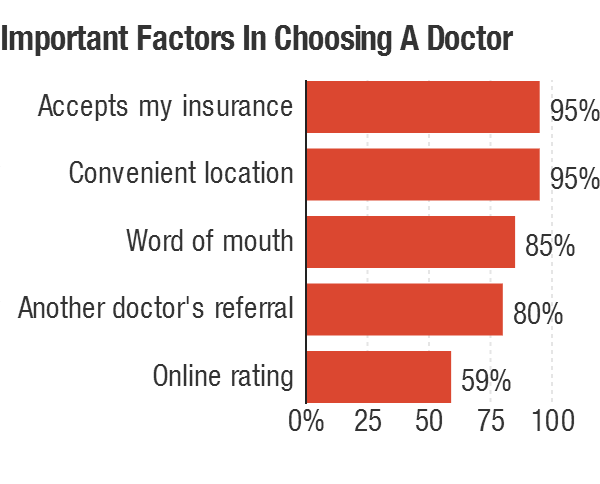 Among more than 2,100 people who took part in an online survey, 59 percent said that online doctor ratings were either somewhat important or very important in making a decision about which doctor see. When the researchers from the University of Michigan med school zeroed in on people who'd made use of an online review in the preceding year, 93 percent responded the ratings were either somewhat useful or very useful in making a decision about a doctor. For comparison, 96 percent of people who had used online ratings to help pick a restaurant and 98 percent of people who had tried them to select a book or movie were similarly satisfied. Just for fun, I looked up the ratings for my primary care doctor on RateMds.com, one of the sites that's been around for a while. There were only four reviews; two of them dated back to 2009. None of the people who reported their insurance coverage have the same kind I do. One person clearly had a bad experience. The other three reviews were pretty positive. There was no clear picture of my doc from the limited data. "Nevertheless, rating sites that treat reviews of physicians like reviews of movies or mechanics may be useful to the public but the implications should be considered because the stakes are higher," as the authors of this study write. A recent study that looked at ratings for urologists found there were only 2.4 reviews for each doctor on some of the big sites, such as Healthgrades.com, Vitals.com and RateMDs.com. Just one review — very good or very bad — can skew the picture when there aren't many to go on. Another problem with current ratings is that they tend to emphasize things like punctuality, bedside manner and the friendliness of office staff. 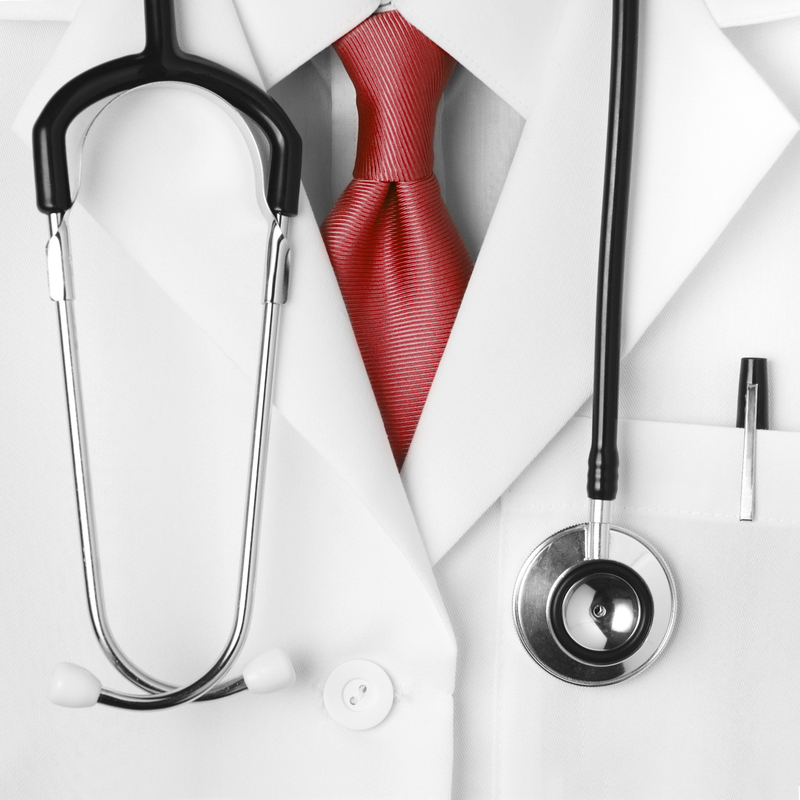 You'd probably like to know how good a doctor is at diagnosing and treating what ails you. Accurate assessments of the quality of care are hard to come by. Still, Dr. Ashish Jha, a health policy researcher at the Harvard School of Public Health, says we're in the very early days of consumer ratings for doctors. Medicare's Hospital Compare isn't easy to use, but it's already bringing data based on quality to the masses. And now Medicare's Physician Compare is working on adding quality data about large group practices of doctors to the online mix.